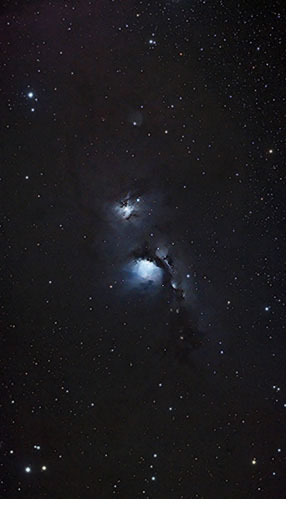 Adobe Photoshop is the preferred weapon of choice for many astrophotographers of varying levels of experience. The intuitive user interface and limitless image processing capabilities make it a real contender in the astrophotography world. The seamless integration with the .RAW image files produced by a Digital Camera makes Photoshop an attractive choice for photographers using popular Canon and Nikon DSLR’s. 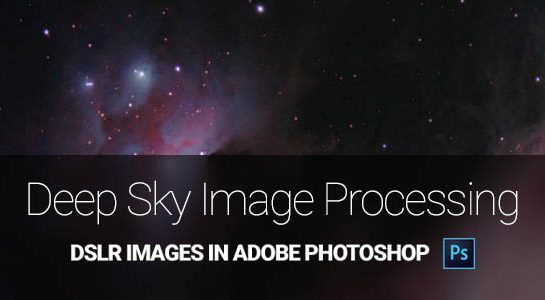 It continues to be my personal favorite tool for processing astrophotography images. Whether you are brand new to astrophotography image processing, or a seasoned veteran, an uneven field in your image is something that every astrophotographer will deal with at some point. The steps I will discuss below can be done in Photoshop without using any additional plugins. However, I strongly recommend investing in the Astronomy Tools Action Set, and Gradient Xterminator. They are well worth the expense and can make a monumental difference to your images. One of the most time consuming and frustrating stages of your image processing workflow can be dealing with gradients. Your background sky goes from a dark blue to pink as the encroaching glow of city light pollution stains your image. 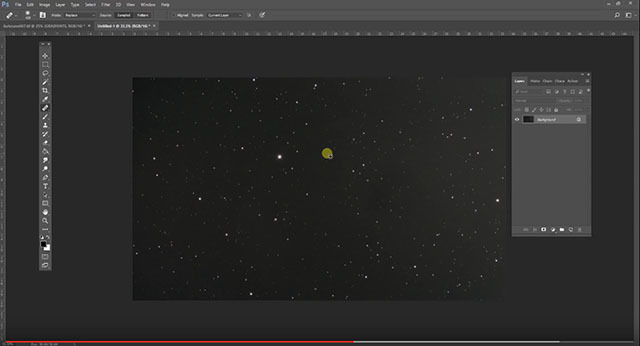 Luckily, there is an extremely useful and effective method for removing gradients using Photoshop. This method involves creating a synthetic flat frame and subtracting it from your original image. 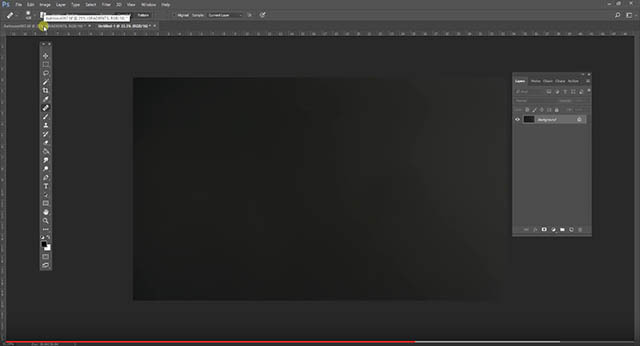 The method you’ll see me use in the video below is a very popular way to remove gradients using Photoshop. Variations of this technique have been used by amateur astrophotographers for years. I do not take credit for this method. Like almost everything else I have learned about this hobby, I picked this up by watching and reading countless image processing tutorials shared by others. This technique works better on some deep-sky images better than others. Large targets such as nebulae that fill the entire frame will be difficult to tackle using this process. 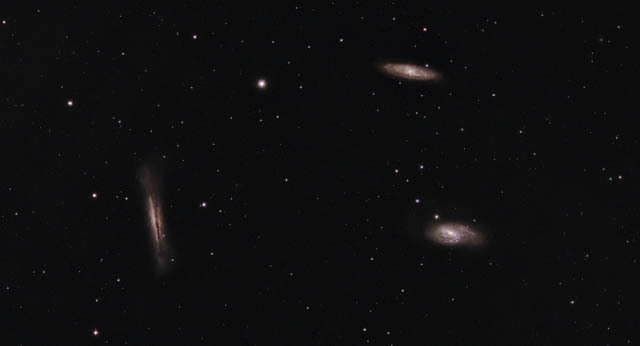 In my example, the Leo Triplet of galaxies worked very well, as they are surrounded by a large area of surrounding space. Start by opening up your final stacked image. I use DeepSkyStacker to register and stack all of my image frames. Crop your image to remove the stacking artifacts and overlapping frames. Convert the image from 32bit to 16 bit, to open up further editing options in Photoshop. Perform a quick levels adjustment, bringing the left-hand slider up against the data on the histogram. 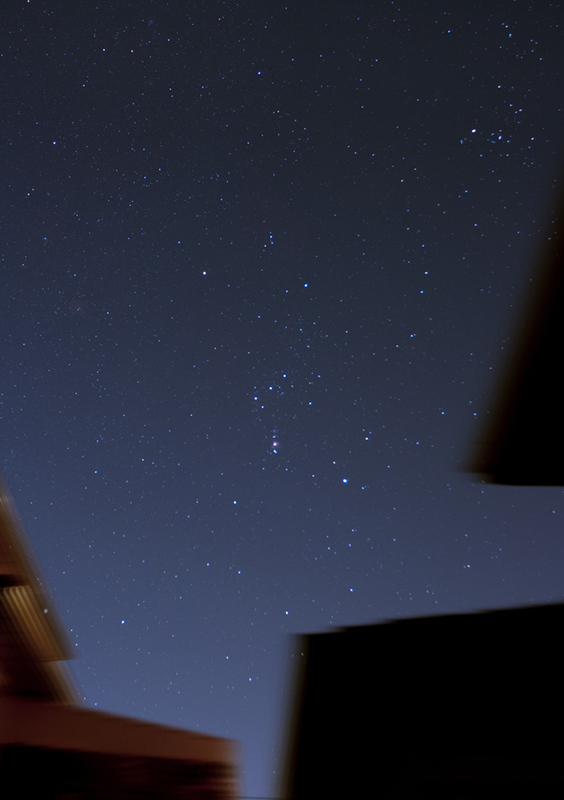 Make a curves adjustment, pulling the details contained in your deep-sky object forward. By now, you should have a good idea of how bad the vignetting and color gradients are in your image. Now comes the fun part. This is where you either have the option of running a third-party plugin such as Gradient XTerminator or tackling the issue yourself. 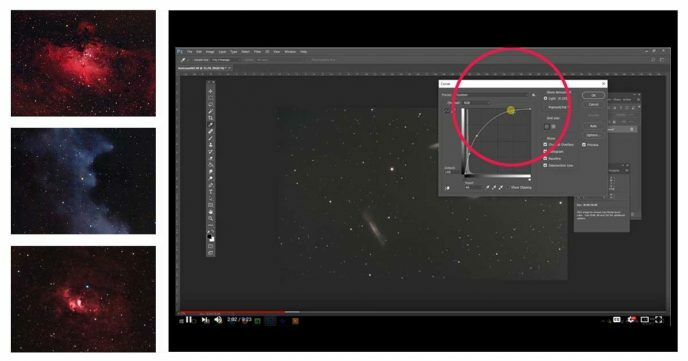 It’s beneficial to learn this method of removing gradients in photoshop for all types of astrophotography including wide field Milky Way shots. Copy this layer to a new image. Select All > Copy > File > New > Paste. On the new image that was just pasted, remove the deep sky objects from the field of view. This can be done various ways, but I prefer to use the healing brush. The important part to remember is that we are only interested in the color information of the background sky. We don’t want to change the data found in the deep-sky objects themselves. See this in action in the video above. Now that we have a version of our image without our deep-sky object(s), we can correct the uneven field in the background sky. At this point, you may also want to remove any bright stars that may negatively affect the resulting synthetic flat frame. What I usually find helpful is to use Select -> Colour Range -> Highlights to select the stars, and then do a content-aware fill. I find it works better than not removing the stars and just doing dust and scratches. Now, we need to blur the details of our copied DSOless image. Choose Filter > Noise > Dust and Scratches. For my camera’s resolution in the example, a Radius value of 80 pixels was used, and a Threshold of O. 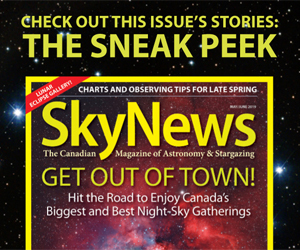 You should now see a blurred version of the background sky, with an evident uneven field. Next, choose Image > Apply Image. From the Blending Mode dropdown, select Subtract. Leave the Opacity at 100%, and set the Offset to 30 and hit, OK. Your new image with the gradients layer on top should look much better. The “Gradients” layer we created can be scaled back by using the Opacity slider on the layer. You may not need to use this layer at 100% to completely correct your gradient issues, but expect to have it set to between 80%-100% in most cases. This layer can be toggled on and off to review and inspect the improvements to your image. If necessary, you can go back and test some of the variables including changing the Radius value, and/or removing the stars before blurring the frame. From this point, you can go about your image processing as you normally would, with a much improved, even background sky. 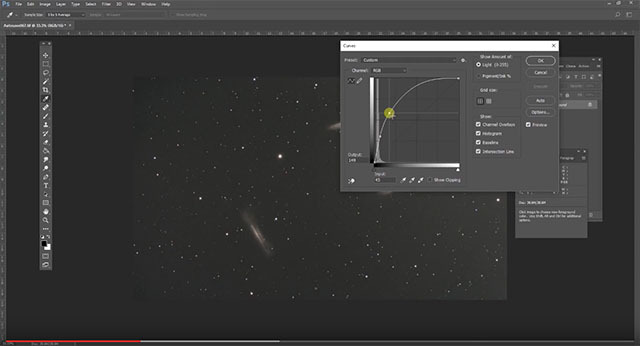 Try this method on some of your existing widefield images that suffer from a gradient in the background sky. An uneven field is a common problem in almost all astrophotos, so mastering this technique will come in handy in your future endeavors. 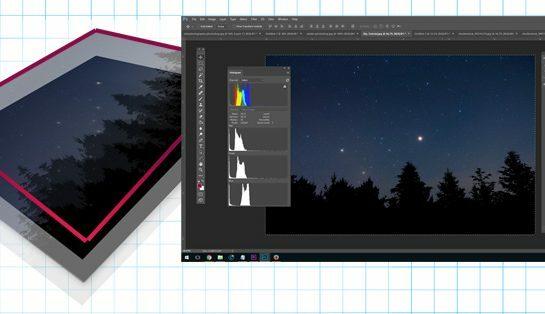 Did you know you can sell your astrophotos as stock photography? I have sold several of my images on Shutterstock over the past 3 years. View my portfolio. You can stay up to date with the latest images and information on the AstroBackyard Facebook page, or by following me on Twitter and Instagram. Excellent video; I can see using this method on Galaxy’s, Globular clusters, some open clusters. Your videos are very well done and to the point. A lot of us don’t know all the nuisances of Photoshop. So watching a video when someone is trying to do the same thing as you; makes it a lot easier and you can always go back for reference. Nice work as always, please keep the information coming. Thanks, Terry. The pleasure is all mine. Sharing this hobby with like-minded folks like you gives me great joy. I’m glad you were able to take something away from it. Clear skies! Fantastic! It’s always good to know a few ways to deal with common issues – so I’m glad you found the tutorial useful. I am really enjoying your blog, Kurt, thanks for sharing! Thanks for sharing this technique. I’m just starting out in Astrophotography and I’ve tried using the idea in GIMP and it works really well! Very pleased…. Just wondering how you did the “dust and scratches” part in GIMP? I was never able to find an equivalent way of doing that in GIMP. Would be great if you could share the details on how you accomplished this!